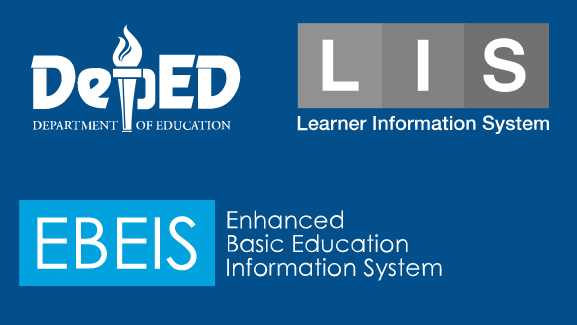 Deped Lis means Department of Education Learning Information System with EBEIS ( Enhanced Basic Education Information System). The LIS module for Early Registration of Kinder, Grade 7, and Grade 11 learners (DO 6, s. 2017) is now open. hen you are ready to enter your Early Registration Data, enter the number of male and female learners; otherwise, click other modules to continue using the LIS. You may also download these forms at the Downloads section of the LIS Support Page. It has come to our attention that so-called “electronic school forms” are being sold to public schools. Please be reminded that DepEd has authorized NEITHER the usage of such “forms” NORtheir sale to our schools. School forms generated using this “solution” are considered NULL AND VOID, and will NOT be considered for official transactions. Official School Forms can be downloaded for FREE and are EXCLUSIVELY available for schools at the Learner Information System (LIS). Report any incident of unauthorized use and sale of School Forms to the LIS/EBEIS Helpdesk, the Planning Service, and the Office of the Undersecretary for Planning and Field Operations. * Requires an LIS/EBEIS user account. Contact your School Head and/or Division Planning Officer. ** As per DepEd Order No. 58, s. 2017 (Section VII: Special Provision) released on 27 November 2017. It is more about what is deped lis means, what's new in deped lis, deped lis download page, and website for deped lis.